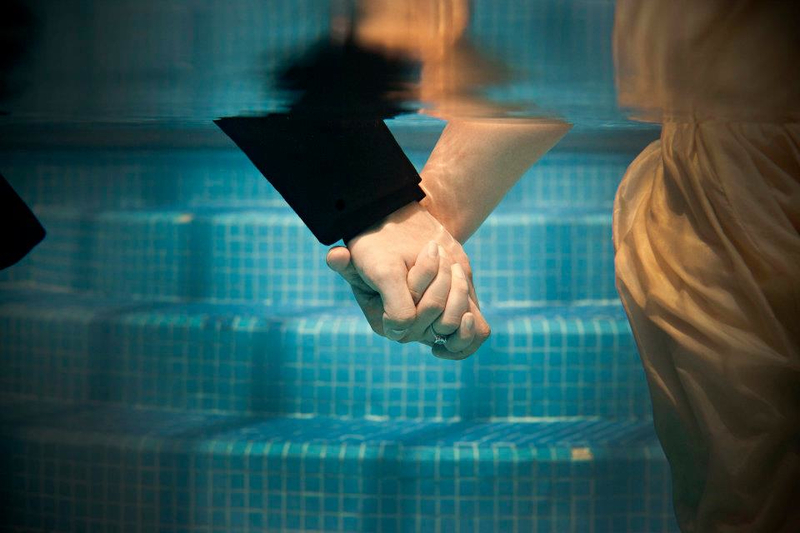 When Rebellious Bride Pia shared with us their underwater prenup session, what made it beautiful was not the "underwater-ness" of it per se. It was the fact that the couple discovered something new about each other and that together, they could conquer a fear. So here's a prenup idea for you guys out there: instead of the usual glossy or out-of-this-world prenup sessions, how about facing a fear and conquering it together? Afraid of heights perhaps? How about a hot air balloon session? Afraid of the wilderness? How about an overnight camping/jungle prenup? "Eugene is not a swimmer and is really afraid to go into the deep. Well I didn't know that side of him until we were brainstorming the techniques and gadgets needed for this shoot. Oh well, I was ready to give up this idea when one night he opened up to me that he wants to conquer his fear! I was sooo happy to hear this from my fiance. Lo and behold, despite the crazy heat of Dubai at 53 degrees that day, we were able to have absolute fun for the first time along with our friends! I so love my fiance for being so game and fearless to try something new! :)"
Pia & Eugene are getting married on Dec. 21, 2012 (MY BDAY! WOOT!) with a sweet wedding theme they call: "Lovebirds on a Tree". We wish you all the best guys!